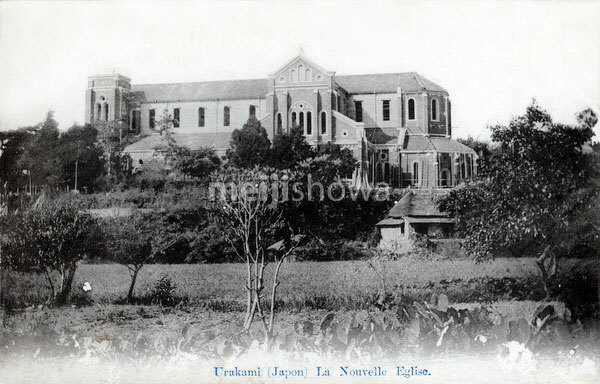 A very rare image of Urakami Cathedral under construction in Urakami, Nagasaki. The cathedral was completed in 1925 after 30 years of construction. Once the largest church in the Orient, it was destroyed by the atomic bomb and rebuilt in 1959.